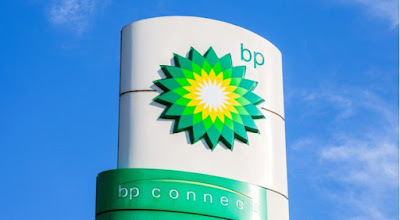 Oil major BP has clashed with rival Vitol in the Nigerian crude market, buying up cargoes and taking a big derivative position that may have raised costs for European refiners, according to Reuters. New trading opportunities arose from August, when broker Sunrise started the first derivative for Nigeria’s four largest crude oil grades – Bonny Light, Forcados, Qua Iboe and Bonga – mirroring derivatives trading in the North Sea. The CFDs, also known as swaps, can be used to hedge against price fluctuations during the voyage of a physical cargo to a consumer, which can take weeks. But CFDs can also be used to take a speculative position. BP said it does not comment on trading positions. “However, BP welcomes the introduction of the new West African swap to provide greater transparency and aid price discovery in the West African crude market,” it said on Friday. The trades took place in what has long been a regulatory gray area. London’s Financial Conduct Authority, which does not regulate London trading in the West African crude market, but does oversee the UK Brent crude benchmark, declined to comment. BP bid for a total of 22 Nigerian cargoes loading between Sept 3-12, a previously unseen volume in the West African crude market, where a whole month can sometimes go without a single public bid or offer in the Platts window. S&P Global Platts said it always ensures bids and offers are firm, performable and tradeable and that its price assessments are reflective of market value. “We have seen a marked increase in the past several weeks of transparent information in the West African crude market,” said Jonty Rushforth, senior director at S&P Global Platts. The NNPC sets its monthly official selling prices (OSP) to long-term crude buyers, mainly refiners, retroactively and based on prices in the Platts system. “This is very bad from a refiners’ perspective. Every seller is now asking high prices and when they show a cargo, all they say is: “If you don’t buy, we’ll just sell to BP,” said a source with a European refiner.